ATL Craft customers see this large cross in the checkout line at the store. 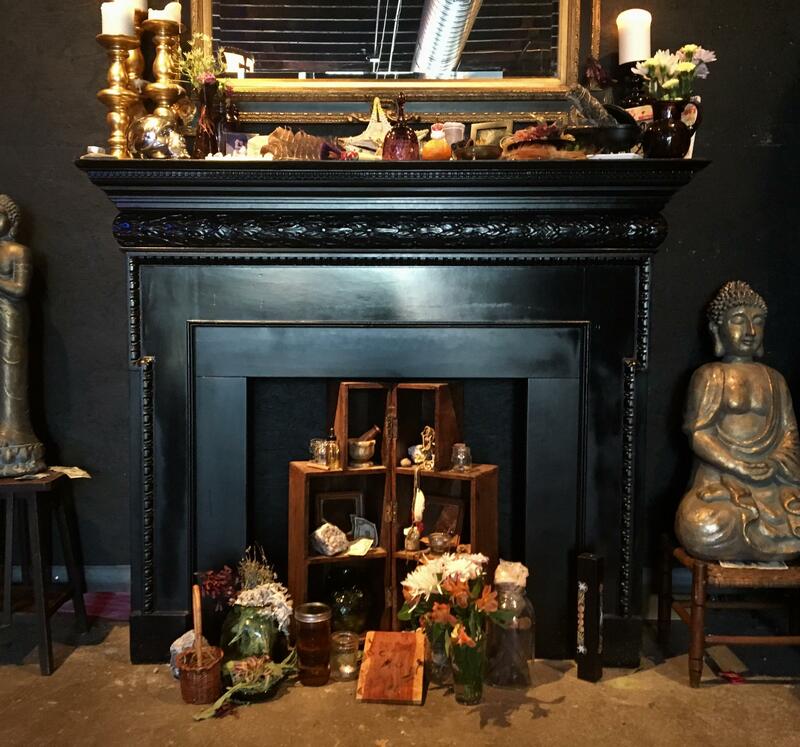 The paranormal is often in the shadows, but a new store in Atlanta brings witchcraft to the public. ATL Craft opened last month. It sells mini-cauldrons for the urban witch, handmade wands, plus "everything you need for your spell work." GPB Intern Olivia Reingold stopped by the shop to meet owner Haley Murphy. Murphy, 29, opened the Atlanta-based store on Edgewood this March after 10 years of practicing witchcraft, but her interest in the supernatural first began when she was 11 and living in Macon, Georgia. Haley Murphy, 29, started the Atlanta-based ATL Craft, a store that specializes in witchcraft. Murphy described her childhood home as “haunted” and “teeming with all sorts of activity.” When she told her parents that she was seeing spirits, her mother reacted with fear and her father with anger. Her Southern Baptist parents raised her and her three brothers in a “very strict household” that forbid TV and alternative radio. This didn’t stop her at a very young age from tuning into Radio Disney and entering a talent contest, which she won. The prize - a Sabrina the Teenage Witch Psychic Phone - enticed her to call in and enter. When she found out she won, she couldn’t help but tell her church friends at a service that evening. Her parents knew by the end of the night. “Not only was I not allowed to have the Sabrina Psychic Phone, but I was, you know, kind of in trouble,” she said. Today, Murphy has created what she hopes will be the kind of safe space she never had as a kid, which is what ATL Craft means to Asheville, North Carolina native Jenni O’Shea. O'Shea said she grew up going to stores that took advantage of witchcraft’s trendiness and gave her unreliable information. “Sometimes you would go into a store and somebody would really know what they were doing, and then you could also find people who were very much so misguiding you and just making stuff up," O’Shea said. She was therefore relieved when she moved to Atlanta and learned about ATL Craft. Haley Murphy’s altar, where she begins her morning rituals. She starts each day starts by burning sage and sometimes ringing the purple bell on her mantel.